Successfully Added S2 Waterproof Bluetooth Earphones - Noise Reduction, BT4.2, Hands Free, IPX7, 45mAh Battery, 850mAh Charge Box to your Shopping Cart. The S2 are a pair of Sleek and stylish earphones that come with interchangeable silicon ear tips making them suitable for all. Ideal for use with Android and iOS devices these earphones can be connected to two devices simultaneously. A single button design lets you pause and play the music as well as answer and reject incoming calls. These mini wireless earphones that come with a magnetic charging box. Each earbud has a built-in 45mAh battery that lasts up to 4 hours. The magnetic charging box with its 850mAh battery means each earphone can be recharged multiple times so you can listen to your favorite tunes for hours on end without disturbing those around you. 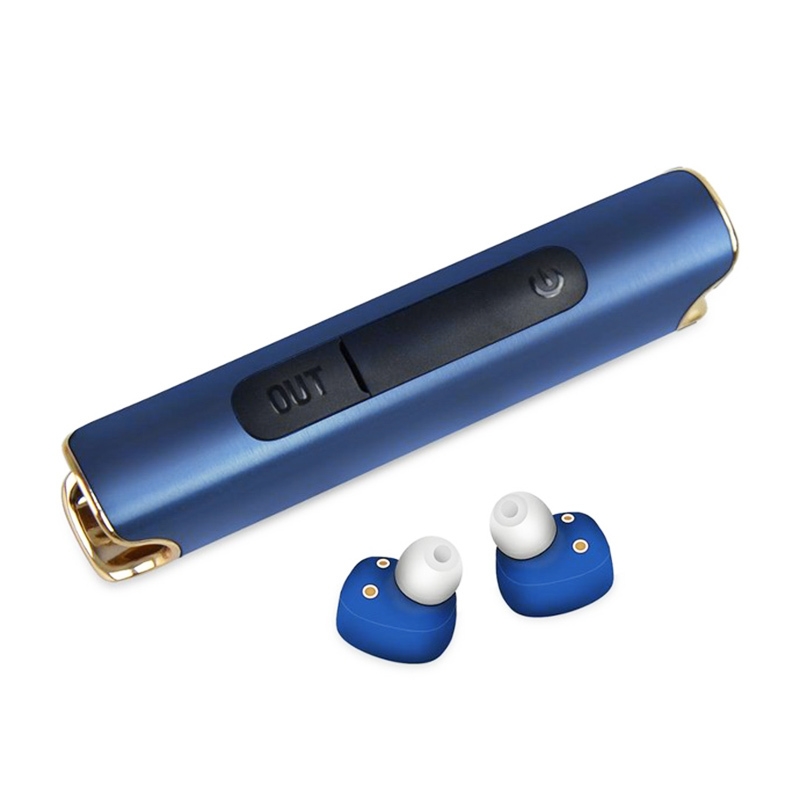 Making full use of Bluetooth 4.2 technology these premium ear phones have great connectivity and feature noise suppression technology so you won't be distracted by external sounds. An IPX7 waterproof rating makes them fully protected from dust and water meaning you can wear them at the gym or when taking a shower. With no cables to get tangled and a secure ergonomic fit, these earbuds are a great way to enjoy your music wherever you may be and offer hands-free call answering so you don't need to free up your hands to make take a call. Ideal for when you're behind the wheel. The S2 Bluetooth earphones come with 12 months warranty, brought to you by the leader in electronic devices as well as wholesale earphones and headphones.. Instructions written in micro print. I needed glasses AND a magnifying glass.